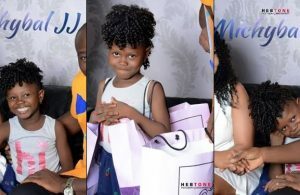 Fun video of Success Adegor, a pupil of Okotie-Eboh Primary School I, Sapele, who was chased from school over exams levy has later turned the 7-year-old Sapele Schoolgirl into a celebrity. DAILY INDEPENDENT visited Success Adegor and reports about the current situation. Like every success story, the crowd of goodwill visitors, government personnel, NGOs and a host of other public-spirited persons continue to swell by the day. 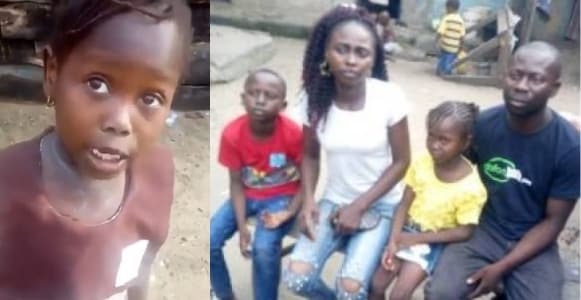 Calls from far and near poured in from those who just want to identify with the little girl who had before now lived a low profile life with her parents at an obscure ghetto area of Sapele called Urban Area. 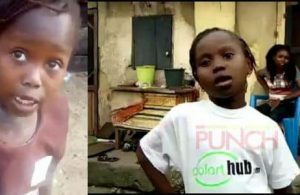 Meanwhile, Miss Stephanie Rukevwe Idolor, an HND holder from Auchi Polytechnic, Edo State, who took the video shot of the little girl and upload it on Facebook, said she did it out of fun. She remarked that “the pitiable sight of Miss Adegor, who was terribly bitter and soliloquising, while walking back home, attracted me to her, and when she narrated her story, I took it from there. “I thank God for what happened and I appreciate all the personalities that responded including the Ministry of Basic and Secondary Education. “Imagine a young girl talking to herself in that bitter state of mind? Anything could have happened; God only used me,” Idolor said. However, since the incident happened, Miss Success, who admitted being a slow writer, said she has only one regret, and that is she can’t observe her break time anymore. 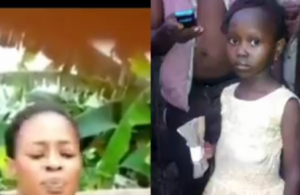 When asked to narrate what happened, she said: “The day I was chased from school, my mother had promised to give me the money to pay for the exams levy the following Monday. So I never expected that the headmistress would ask me to go home despite a plea from my mother. It pained me so much that I became sad and sober as I walked home to tell my mother. “So on my way, I met our neighbour who asked me why I was not in school and when I told her what happened, she brought out her phone, recorded my conversation and uploaded it on Facebook. That was the beginning of my story from obscurity and poverty to stardom. I can’t even remember anymore the number of personalities that have visited me in this poor environment. 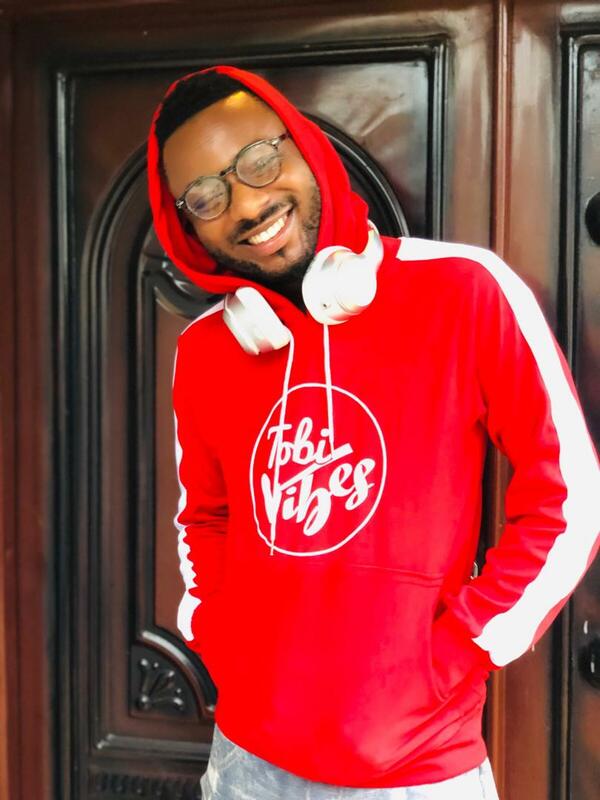 The petty trader-mother of three of which Miss Success is the last child and who had been married to her husband for 15 years, said further: “The whole episode was divine intervention. God only used what happened to uplift my husband and I. Or how else do you want me to tell my story? “Just a few days ago, I was struggling to pay my children’s school fees from the little savings of my petty trade and my husband is an Okada rider. Just then, God intervened. One moment of ‘go home until you pay your exams fee’ by the headmistress of my daughter’s school and the viral video that followed suit changed our story from zero to hero. Miss Success’ dad, Mr Adegor, in an interview, described the success story of Success as a finger of God. He noted that life has not been easy for him and his young family, remarking that there was a threat of quit notice from his landlord for their inability to pay the rent of the mud house they stay. “I appreciate all Nigerians. Now, I understand the true meaning of the miracle. My dream is to see my children to the highest level of education,” the father of three said.